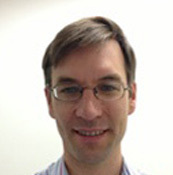 Dan Croagh is a hepatobiliary and pancreatic surgeon working predominantly at Monash Medical Centre and Jessie Macpherson Private Hospital. He obtained his medical degree from the University of Melbourne in 1997. He undertook surgical training St. Vincent’s Hospital during which time he also obtained a PhD in stem cell biology at Peter MacCallum Cancer Centre in 2007. His Fellowship training was at Monash Medical Centre and the Liver Transplant Unit at the Queen Elizabeth Hospital in Birmingham, UK. Areas of special interest include hepatobiliary endoscopy (endoscopic ultrasound and ERCP), complex liver and pancreatic surgery for benign and malignant conditions, gall stone disease and severe pancreatitis. Mr. Croagh strives to provide optimal care for patients with these complex surgical problems by tailoring the surgical and endoscopic interventions to the individual needs of the patient. He is also active in clinical and basic science research in his roles as a Senior Lecturer at Monash University and Director of Research for the department of upper gastrointestinal and hepatobiliary surgery at Monash Medical Centre.